Dominic Foreman spent most of his early working life in the automobile industry, first as an assembly worker, then as a union official. Committed to the Labor Party's 'great goal of social equality', he continued during his years in the Senate to defend the rights and conditions of low-paid workers, particularly those in manufacturing industries. Dominic John Foreman was born in Clare, South Australia, on 6 August 1933, the fourth of six children of George Albert Foreman, who grew currants on a six acre block at Armagh, just outside Clare, and his wife Gertrude Mary, née Gibbie, a university graduate and a former schoolteacher. The Foreman family were devout Roman Catholics (Dominic served as an altar boy, and two of his sisters entered convents as nuns) and Dominic commenced his education at St Joseph's Convent in Clare. He boarded at Rostrevor College in Adelaide from the age of thirteen but left school before completing his Intermediate Certificate to work in a café his mother had established in the main street of Clare. After two years he moved to Adelaide where he worked in the factory of white goods manufacturer Simpsons. He commenced National Service training at Woodside, SA, in 1952, then returned in 1954 to Adelaide where he joined General-Motors Holden (GM-H), working as a welder on an assembly line, first at Woodville, and then at the Elizabeth plant. In 1957 he married Margaret O'Brien. There were two children of the marriage, which lasted three years. Having joined the Australian Labor Party in the early 1950s, Foreman joined the Vehicle Builders Employees' Federation (VBEF) in his first year at GM-H, becoming a shop steward. In 1966 he was elected to a full-time union organiser's position, and subsequently became an assistant secretary and finally, in 1975, state secretary of the VBEF. He held that position at a time of 'hard union politics', when the Federation, comprising more than 20 000 members in South Australia, initiated industrial action in response to job losses and deteriorating working conditions due to difficulties facing the domestic vehicle manufacturing industry. By 1979 Foreman was President of the South Australian Trades and Labor Council, Australian President of the Vehicle Builders Employees' Federation, and President of the ALP in South Australia. In 1980, when Senator Reg Bishop indicated that he intended to retire, Foreman's close friend, Mick Young, Member of the House of Representatives for Port Adelaide, who had been his associate as a South Australia union organiser for the AWU, suggested that he contest Senate preselection. With solid union backing, Foreman was preselected in first position on the ALP ticket for the election of October 1980 and was elected on the first count. He retained a strong position on the ticket for subsequent elections in 1983, 1987, 1993 and 1996 and was comfortably elected in each case. If these trends continue Australia will be faced with the same sort of social upheaval as Great Britain, with riots in the streets and a spiralling crime rate. In Britain increasing numbers of unemployed teenagers have joined extremist organisations and have resorted to looting and gang warfare simply because they have nothing better to do. Foreman stressed in his first speech the importance of the vehicle manufacturing industry to South Australia's economy, and addressed Industry Assistance Commission proposals for rationalising the industry, which included a reduction of import tariffs on vehicles and components, and an end to the eighty per cent share or 'quota' of the market reserved for locally-produced vehicles. The corresponding increase in imports, he said, would threaten fifteen to twenty thousand South Australian jobs. He did not, however, question the need for restructuring in the industry, and following the advent of a Labor government in 1983 he enthusiastically supported the Button car plan, which from 1985 implemented staged reductions in import tariffs and measures designed to reduce inefficient production runs. In 1992 he challenged Opposition proposals for zero tariffs in the vehicle industry: 'we will not destroy vital manufacturing and primary industries by cutting all protection out'. The vehicle sector had 'special needs' and in order to ensure its survival 'the continuing involvement of government in the process of development and control' was needed. Foreman contributed to debate on broader industrial relations issues, and he was vigilant of any changes to the arbitration system that would impact on workers. Having blamed the Fraser Government during its last two years for the poor state of the Australian economy, exacerbated, he said, by an industrial relations 'free-for-all' due to the abolition of centralised wage fixing, he applauded the Hawke Government's prices and incomes accord, saying: 'The accord process has provided a rational, sound and successful basis for determining wage outcomes in a fair and equitable manner'. In 1990 he supported the encouragement of the amalgamation of unions under the Industrial Relations Legislation Amendment Bill (no. 2) 1990. He was dismayed by the move by the Howard Government from 1996 towards individual agreements outside the award system, saying: 'The Workplace Relations and Other Legislation Amendment Bill 1996 represents the biggest single threat to the wages, conditions and lifestyles of workers since federation'. In 1992 Senator Graham Maguire, a fellow member of the Centre Left faction, realising that Labor was likely to win only two of the six South Australian seats available at the next election, challenged him for second position on the ALP Senate ticket. The dispute threatened to split the faction, but Foreman retained his position by winning a majority of votes at a Centre Left meeting at which Mick Young spoke on his behalf. The faction executive recommended his endorsement on the grounds of the tradition that senators retain their ticket position when they renominate, and that he represented the union vote. I really do think that he performed these roles with extraordinary diligence and reliability ... You have to be an effective negotiator and you have got to be able to work under pressure. Dominic performed those tasks and performed them well. Foreman was active in Senate committees. On his first day in the Senate he was appointed to the Joint Standing Committee on Public Works, which had an ongoing responsibility for examining Commonwealth construction projects. He became chair in May 1983 and presented reports to the Senate throughout his service on the committee, which lasted until 1987. 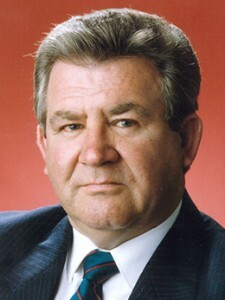 After he was returned at the double dissolution election of July 1987, Foreman was appointed to the Standing Committee on Infrastructure (later Transport, Communications and Infrastructure), where he was also elected as chair and where he served until 1993. Reports completed by the committee during this time had an emphasis on transport matters, and included inquiries into the function and management of Australian airports, and a proposal for a very fast train. In 1992 he tabled a report proposing the establishment of a space launch industry in Australia. Foreman's commitment to social justice extended to electoral matters. Speaking in 1991 in favour of the Political Broadcasts and Political Disclosures Bill, which sought to reduce the advantage of well-funded election candidates over others, he said: 'We do not believe that the wealthy should be automatically entitled to a head start in anything'. Chair of the Joint Committee on Electoral Matters from May 1993 to September 1995, he oversaw that committee's inquiry into difficulties arising from financial reporting provisions in the legislation. In 1995 Foreman was a Parliamentary Advisor to the United Nations General Assembly, an experience he described as a 'great honour', noting that Australia's role within the UN 'allows us to have a greater influence in world affairs than might otherwise be the case'. Foreman had surgery to remove a tumour on his lung in 1996 and retired from the Senate, citing ill-health, in September 1997. His casual vacancy was filled by John Quirke, a member of the SA House of Assembly who had worked in Foreman's Senate office. Dominic was a person of great loyalty ... He was a man of great integrity, great honesty and considerable incisiveness in his judgment of other people... . He was not renowned as a gregarious person with an effusive personality, but he made a dedicated commitment to the cause of the labour movement and the Labor Party in his own way. After his retirement Foreman lived near the beach at Glenelg, South Australia. He had married a second time, on 3 January 1987, to Shirley Lewis, who died in 2006. A player in the SA Australian Rules Football League in his youth, Foreman had a long association with the West Adelaide Football Club. He maintained an interest in public affairs, and continued as a member of the Australian Labor Party. CPD, 9 Sept. 1981, p. 608. Recording of an interview with Dominic Foreman by Barry York, 4 March 2015, POHP; AFR (Syd. ), 17 July 1981, p. 13; Labor Herald (Adel. ), March 1980, p. 2; ALP, House of Representatives and Senate Candidates Biographical Details, 1980. CPD, 9 Sept. 1981, pp. 607–10, 23 March 1982, pp. 1031–3, 12 Nov. 1981, pp. 2102–3, 18 Feb. 1982, pp. 153–4, 7 May 1985, pp. 1461–2, 30 April 1986, pp. 2103–4, 4 Nov. 1992, pp. 2274–6. CPD, 27 May 1982, pp. 2559–61, 4 Oct. 1983, pp. 1047–9, 16 Nov. 1983, pp. 2633–5, 1 Dec. 1983, pp. 3108–9, 5 Dec. 1990, pp. 5039–40, 5058–60, 14 March 1991, pp. 1927–9, 8 Oct. 1996, pp. 3715–7. Advertiser (Adel. ), 28 Jan. 1992, p. 8; Neal Blewett, A Cabinet Diary: A Personal Record of the First Keating Government, Wakefield Press, Adelaide, 1999, p. 31. CPD, 22 Sept. 1997, p. 6630. CPD, 13 March 1991, p. 1803, 28 April 1992, pp. 1680–1, 3 Dec. 1991, pp. 4034–6, 30 June 1994, pp. 2393–4, 11 May 1995, pp. 285–6. CPD, 22 May 1996, pp. 965–7. CPD, 22 Sept. 1997, pp. 6630–8. This biography was first published in The Biographical Dictionary of the Australian Senate, Vol. 4, 1983-2002, Department of the Senate, Canberra, 2017, pp. 276-279.